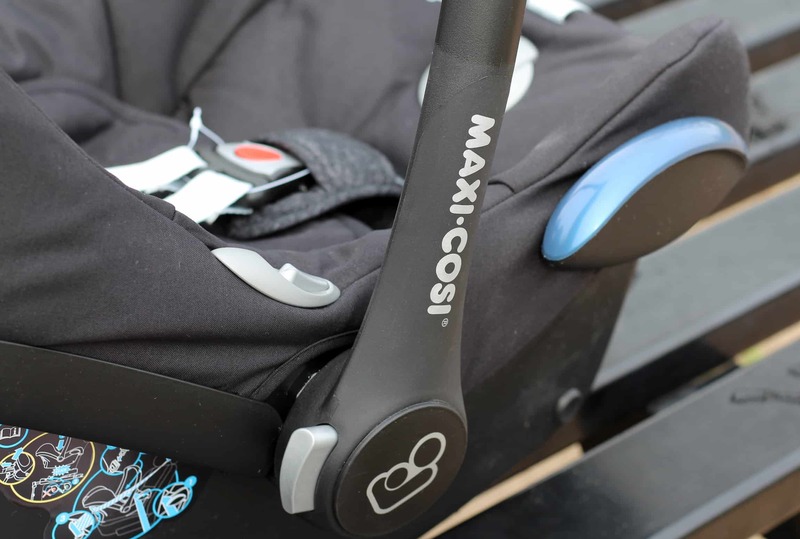 .We have recently been playing around with the Maxi Cosi CabrioFix in preparation for the new arrival and I think the realisation that I’m actually having a baby that is due in eight weeks has finally hit. I think for the past few months I’ve been drifting through this pregnancy in complete denial. Oh, course we have had the scans so I’ve seen my baby and I feel the kicking and incessant laying on my bladder regularly but I don’t think I’ve actually come to terms with the fact it’s happening – until now. This past week I have been making lists, plans and preparations to try and get organised for this new arrival. Henry will be almost seven when the baby arrives and as you can imagine things have changed a lot since then. The market seems bigger than when Henry was small there are gadgets and gizmos that wow and impress but for me the underlying factor has to be safety. Every mother wants their child to be safe and one of the most important areas that safety is a huge issue is when traveling in the car. That’s why we are using the Maxi Cosi CabrioFix car seat with our new arrival. 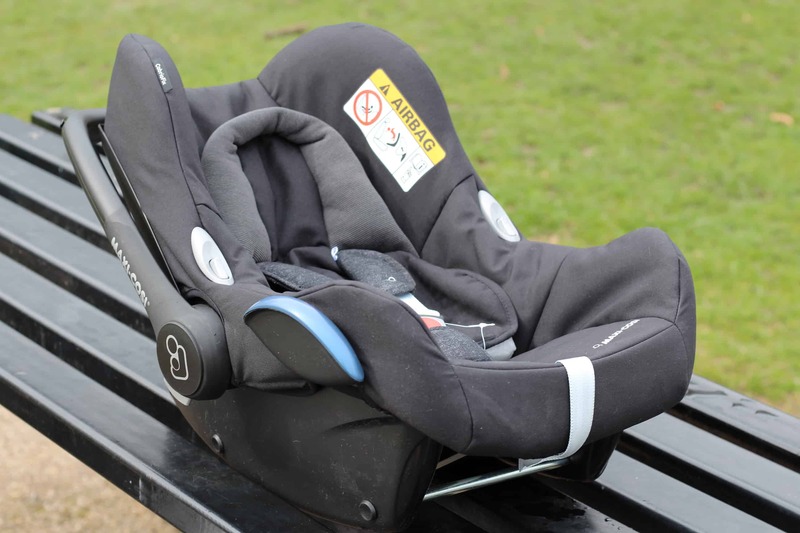 Henry uses a Maxi Cosi car seat currently and that decision was made after much deliberation and trial. 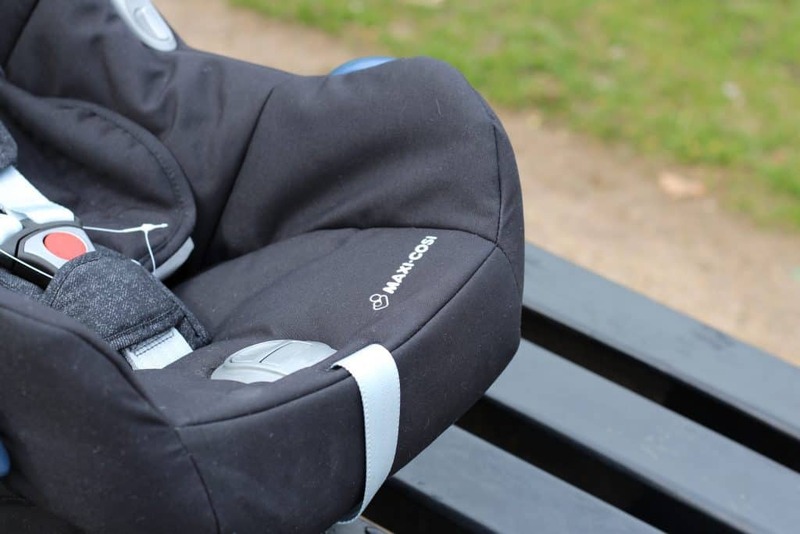 Maxi Cosi are an established and well known car seat brand and after using their products for years I am confident in their items. 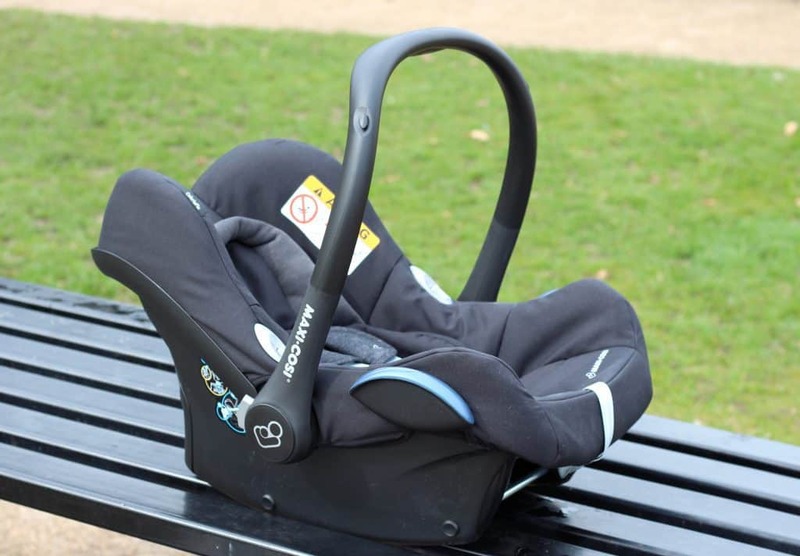 Henry never had a Maxi Cosi newborn car seat but back then I didn’t realise there was such a difference in styles, weight and safety. 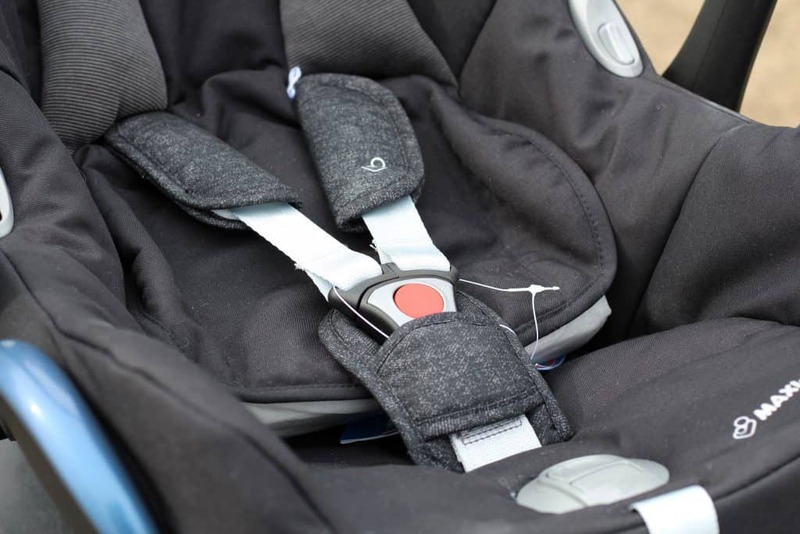 My husband, Ollie and I discussed the different car seats available but we have chosen the Maxi Cosi CabrioFix Group 0+ and we couldn’t be happier. The first thing I noticed about the car seat was that it was lightweight. Anyone that has ever held a car seat containing a child will know that it can get pretty heavy! I spent much of Henry’s baby days alternating the car seat from arm to arm as we went for a ‘quick trip’ around the supermarket! It’s safe to say the last thing you want is a car seat that already weighs a hefty amount before you’ve even added the child! I like the idea of the Maxi Cosi Family Fix Base as it includes a light and sound indicator that confirms correct installation. The bases need to be purchased separately but they aren’t essential. For me it will make getting baby in and out of the car much easier especially as I already have one child! I’m actually really impressed with the Maxi Cosi CabrioFix it ticks all the boxes from a safety, convenience and style point of view. The design, weight and comfort all score high and I am looking forward to trying it out when the baby arrives. I am spoilt currently because my six year old can fasten and unfasten himself from the car independently. This of course makes everything much easier. I remember the days of having to reach a seatbelt around the car seat at an awkward angle and I have to say I don’t much look forward to it again. That being said having the option to purchase the Maxi Cosi Family Fix base could help that! Obviously I haven’t tried an actual baby in the car seat because he/she hasn’t arrived yet. Once we have brought home our new baby I will be sure to update this review. I am excited to let you know how it stands against life with a newborn. Kiddies Kingdom stock the Maxi Cosi Cabriofix as well as an abundance of different car seat options to meet your needs. I think the most important thing to consider when purchasing a newborn car seat is what works for you as a family. 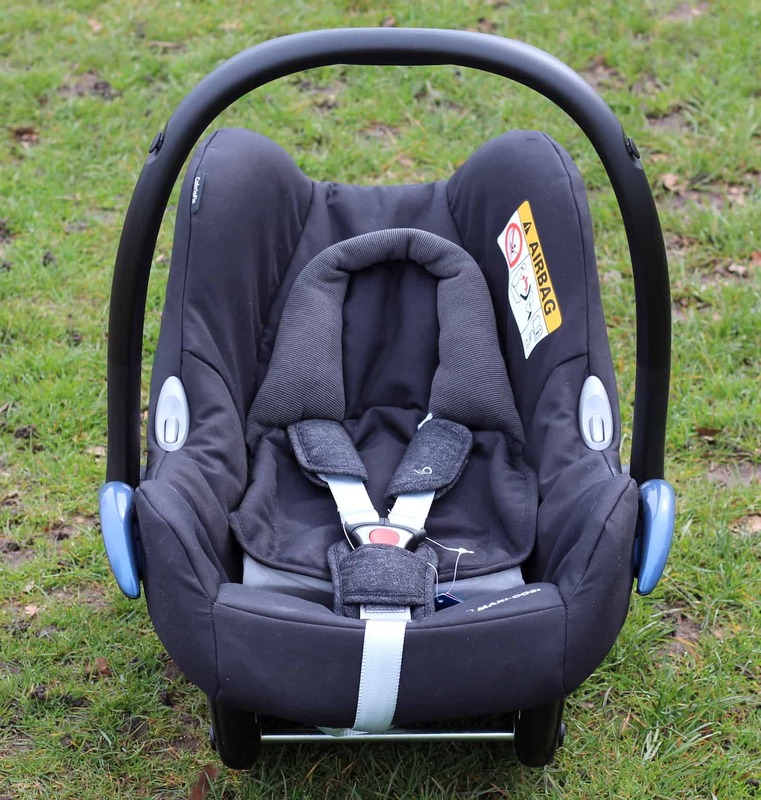 *We were kindly sent the Maxi Cosi Cabriofix from Kiddies Kingdom in return for an honest review. As always words, opinions and views remain my own. If you’d like to know more about this please visit this page.